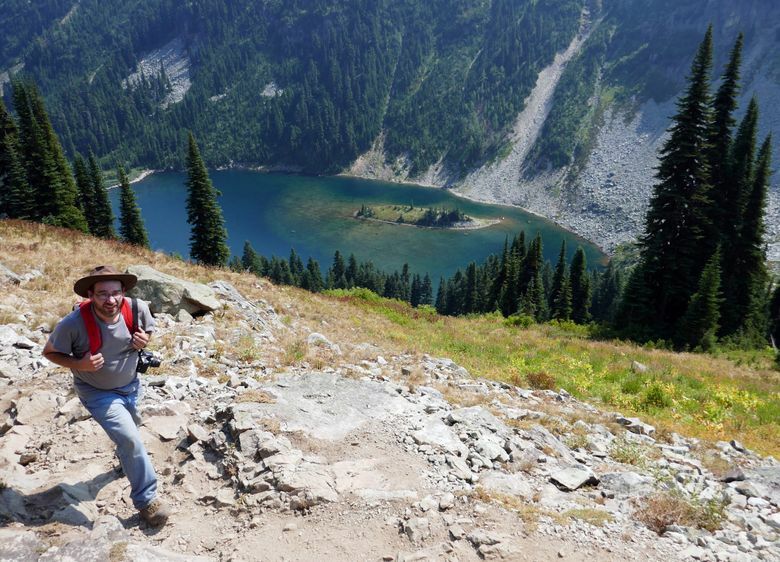 Until they’re snowed in or the highway closes, now is your chance to hike some of the most beautiful trails in Washington. The gold rush is on in the North Cascades. And let’s not forget red and orange, too. 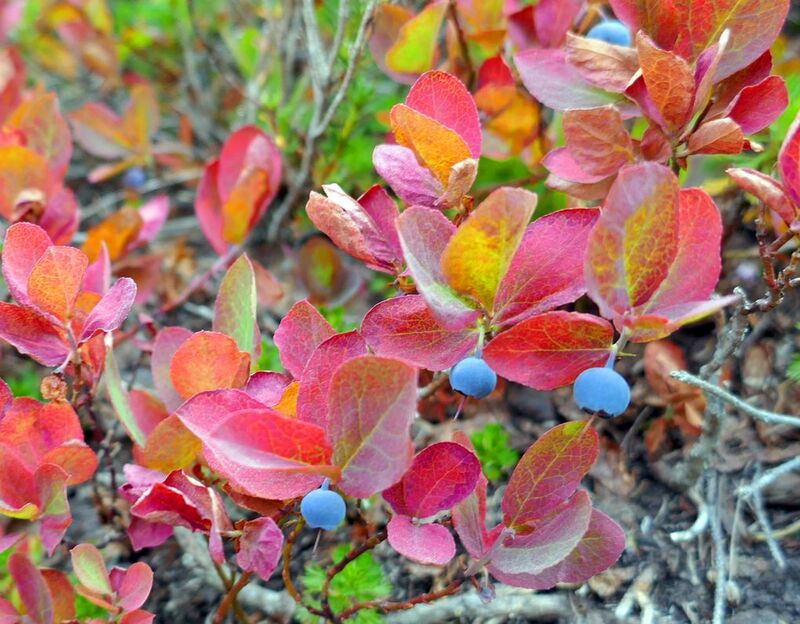 Fall colors will peak in the next few weeks on mountain trails, and the clock is ticking before snow closes State Route 20, the North Cascades Highway. It’s arguably the best time of year to access some of the most beautiful trails in the state. 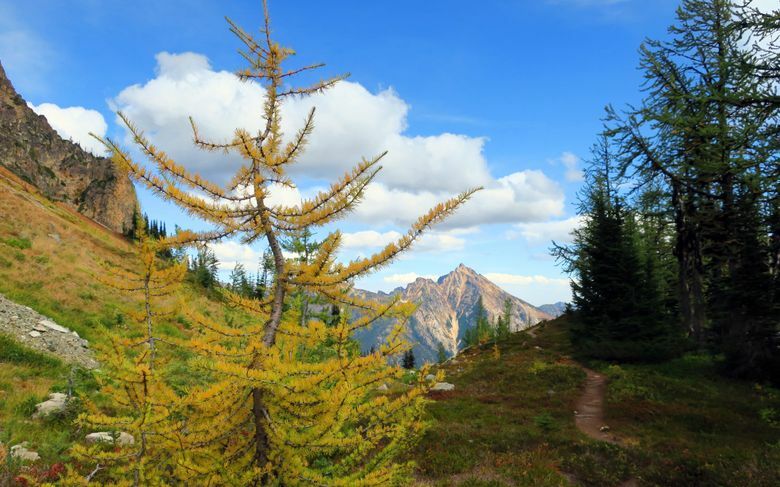 Along the spine of the North Cascades toward Central Washington, you’ll find a bonus too — large stands of alpine larch trees, which have needles like evergreens that turn a stunning gold in the fall. “They only grow at higher elevations on the East Side,” Seifried said. Early season snow adds to the beauty of the turning larch trees, she added. “If you can hit the larches with a little bit of snowfall — that’s the Holy Grail,” Seifried said. State Route 20 “usually closes by Thanksgiving,” said Andrea Petrich of the Washington State Department of Transportation. The closure shuts down access to the trailheads between mileposts 134 just east of Diablo Lake, and 171, 14 miles west of Mazama. Now’s your last chance to hit the following, scenic trails before they close. 7.4 miles round-trip. Elevation gain: 2,900 feet. 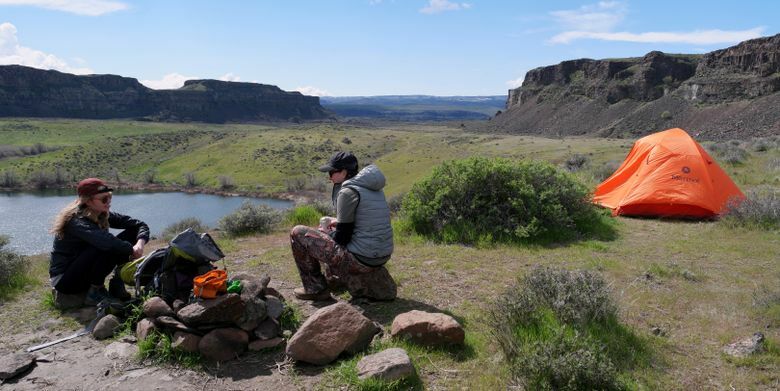 “Easy Pass is my favorite hike off Highway 20,” Seifried said. And it’s easy to see why — this not-so-easy day hike tops out at 6,500 feet and offers gorgeous views of the Fisher Basin. While other trails off the North Cascades Highway can be popular, you might find yourself alone on this high-mountain route. 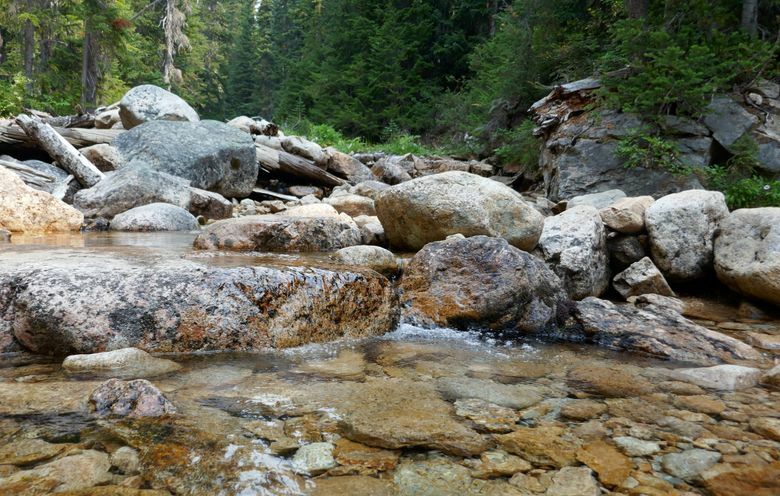 The hike: Starting at 3,700 feet, the trail crosses sometimes-rushing Granite Creek and climbs through a lovely forest, past a few small creeks, eventually popping out into the open at 2.3 miles. After that, it’s time to really work, ascending rocky slopes steeply to the pass, where killer views of 8,000-foot Fisher and Kitling peaks await. Want more? Keep going into Fisher Basin beyond. Who doesn’t love a loop hike? 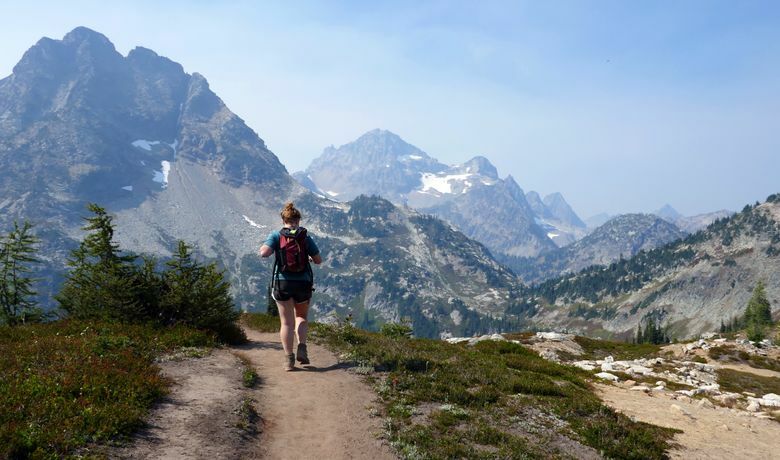 This is one of the best in the Cascades, climbing moderately most of the way to a long romp along a ridge with top-of-the-world views of some of the North Cascades’ most iconic peaks. Trailhead: Milepost 157.6, the Rainy Lake Trailhead. The hike: Stepping out of the car at 4,800 feet, your first order of business is to decide whether to hike clockwise or counterclockwise. For those wanting a lake with their loop, head counterclockwise and climb toward Lake Ann, a destination in itself for many hikers. 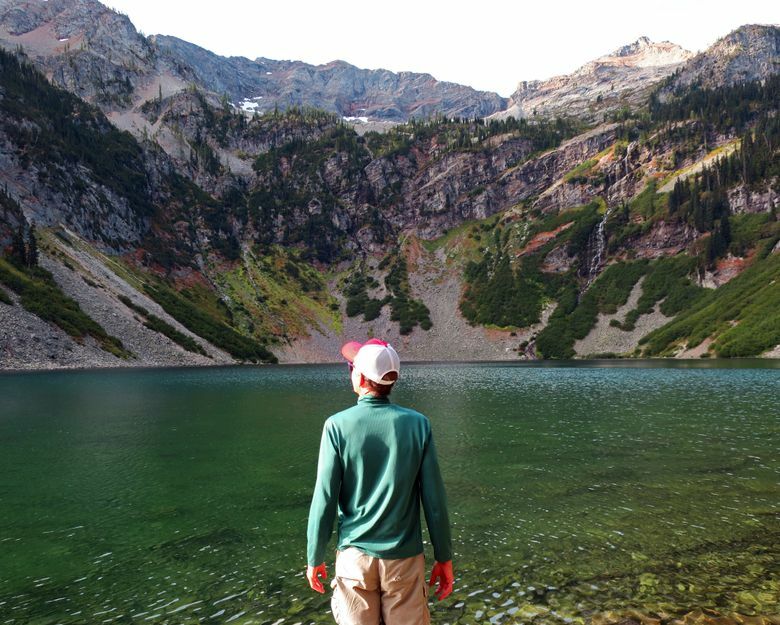 At 1.3 miles, you’ll reach a signed intersection for Lake Ann; head another half-mile to reach a dreamy mountain watering hole. If the lake is enough, return to your car for a 3.6-mile round-trip. For those skipping the lake, keep going on a gradual ascent toward the ridgeline. At 3.3 miles, reach Heather Pass for views of Black and Corteau peaks. For the next mile or so, the views get even better as the trail tops out at 6,850-foot Maple Pass, a suitable stopping point for lunch that looms high above Rainy Lake with Frisco Mountain holding court to the south. The hike down is just as scenic, eventually dropping into the trees back to the car. 1.8 miles round-trip. Elevation gain: 50 feet. Some easy trails fail to deliver. That’s not true on this wheelchair-accessible hike that ventures into a lovely basin. Trailhead: Shared with the Maple Pass and Lake Ann trails at milepost 157.6. The hike: Starting at 4,800 feet, head left and follow the paved path as it winds through forest past interpretive signs to Rainy Lake. Grab your picnic basket and sit down at one of many benches, wowed by the fall colors, cliffs and waterfalls surrounding the lake. 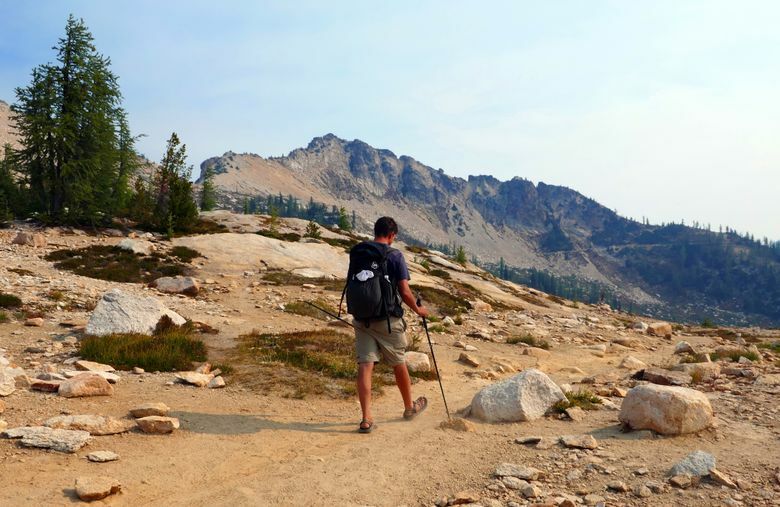 10 miles round-trip from the Pacific Crest Trail. 11 miles from Cutthroat Lake Trailhead. Elevation gain: 2,000-2,300 feet. Either way you go, Cutthroat Pass is stunning. Large stands of larch trees fill the basins on each side of the pass, and if you can arrange a car shuttle, go trailhead-to-trailhead for an unforgettable 10.5-mile one-way trek through the North Cascades high country. Trailheads: The Pacific Crest Trail north trailhead is across the road from Rainy Lake parking lot at Milepost 157.6. The Cutthroat Lake Trailhead is at Milepost 167. The hike: If you choose the PCT option, starting at 4,800 feet, climb steadily through a pleasant forest, taking care not to be run over by late-season thru-hikers rushing to finish at the Canadian border. You’ll cross several scenic streams, including Porcupine Creek, the largest of them. Slowly, the trees thin, giving way to views of a broad upper basin filled with larch stands on a trail that winds up to the pass at 6,800 feet. 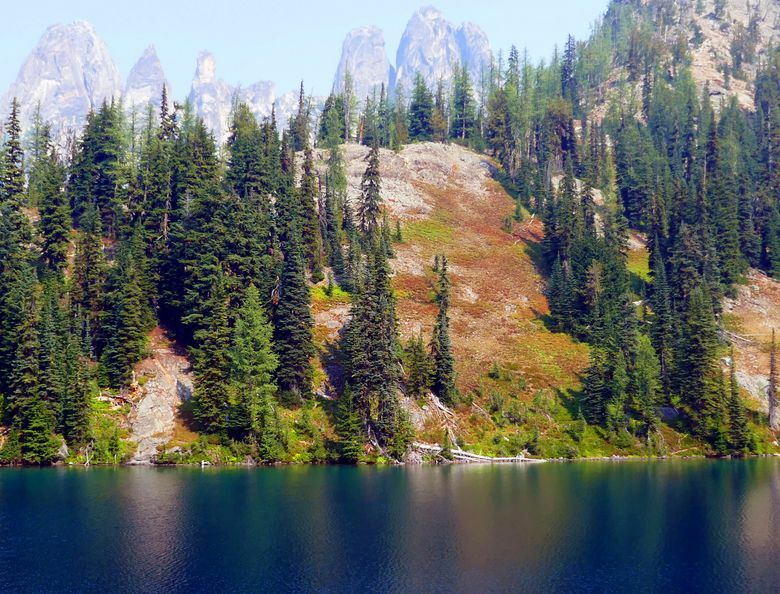 For the Cutthroat Lake Trailhead, begin at 4,500 feet and climb gently to the lake at 1.7 miles. This might be enough for some hikers, and the views here are mighty nice with an alpine lake surrounded by cliffs and fall color. If you push on for the pass, you’ll need to climb nearly 2,000 vertical feet up a steep mountainside on a series of manageable switchbacks taking you into a ridge-top world of color and expansive views. 4.4 miles round-trip. Elevation gain: 1,058 feet. It’s relatively short, it climbs fairly gently, but don’t let this trail fool you. It’s plenty tough. The payoff is a picture-perfect mountain lake that is indeed a deep azure color, a gorgeous contrast to the golden hues of fall at the base of the impressive 7,720-foot Liberty Bell massif. Getting there: Drive to Milepost 161.5, just west of Washington Pass. The hike: Start at 5,200 feet on a fairly flat walk in the woods that parallels State Route 20. Soon you’ll be climbing, leaving the road sounds behind. Pop in and out of forest, eventually reaching the cirque-lined lake at elevation 6,254 feet. Take a load off and marvel at the mountain beauty, or explore the rough trails around the lake. For those with the skill and stamina, a climbers’ trail nearby leads up Liberty Bell. State Route 20 usually closes in November, but it takes “a season-ending event” (aka, a major snowstorm) for the Washington Department of Transportation to shut the gates for good. Some years, the road has remained open into December, and in 1989, it didn’t close until January. For the latest road information, see wsdot.wa.gov/Traffic/Passes/NorthCascades. Always check weather forecasts and trail conditions before you go. Methow Valley Ranger District in Winthrop (509-996-4003) administers the trails along State Route 20. Also check with North Cascades National Park, 360-854-7200 or nps.gov/noca. You need a Northwest Forest Pass to park at trailheads along State Route 20, $5 per day or $30 per year. The National Parks Annual Pass ($80) also works as a parking pass. Seattle writer John Nelson recently updated the upcoming fourth edition of “Day Hike! North Cascades” for Sasquatch Books. Read his blog at SkiZer.org.